A Senegalese migrant worker begins an affair with a French woman. 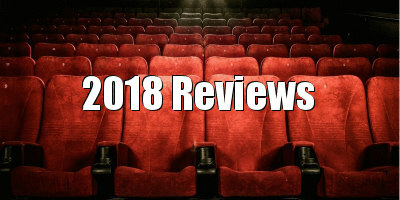 European cinema has offered numerous takes on the immigrant experience in recent years, and as a result, Philippe Faucon's Amin fails to add much to this already crowded field. What it does offer is a rare glimpse into the lives of the women left behind by men who leave the developing world in search of work in the west. The eponymous Amin (Moustapha Mbengue) is a Senegalese migrant worker who lives in a Parisian hostel crowded with men just like him, drawn from the four corners of France's former empire. He works long hard days in construction, saving up his meagre wages, which he sneaks back home in his socks every few months. 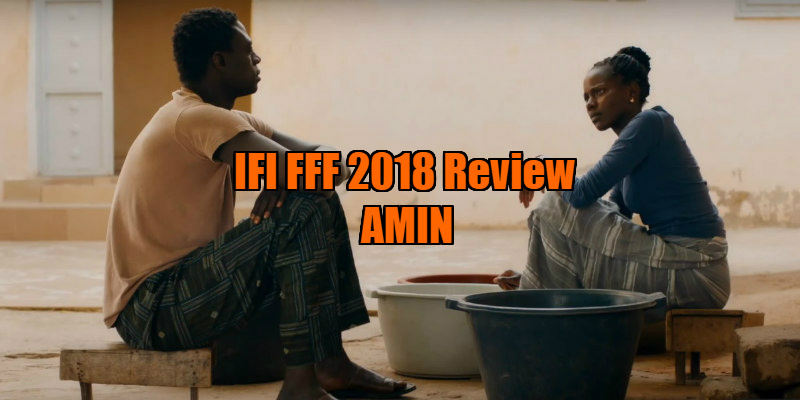 Back in his village, Amin's wife Aisha (Mareme N’Diaye) is struggling to raise their three kids alone, and she begs Amin to take his family back to France with him. Amin fobs her off with claims that they wouldn't fit in if they moved to France. Perhaps he's right, but you get the feeling he enjoys his independence in his second home. While renovating the garden of a Parisian woman, Gabrielle (Emmanuelle Devos), Amin ends up being invited to her bed, and the two begin a curiously passionless affair. I'm not sure if it's a symptom of Mbengue's lack of acting experience (it's his debut role) or a reflection of the character, but Amin doesn't seem to be getting anything from this sexual transaction, his post-coital face devoid of emotion. Rarely has a title character been such a blank canvas, and I'm unsure if Faucon wants us to view his protagonist with sympathy or scorn. More compelling is the story of Aisha, who in the absence of her husband, is forced to contend with religiously fuelled misogyny from the men of her village, including her husband's brother. As a commentary on sexual double standards, Amin leaves you in no doubt regarding the status of women in Senegal. Another character the movie could have benefitted from paying more attention to is Abdelaziz (Noureddine Benallouche), an aging Moroccan co-worker of Amin's. Abdelaziz is hassled by his French-born daughter to look after his financial interests, lest he end up without a pension, but he gives the impression he knows his days may not stretch so far in the future, and knowing his children have settled in France in a way he never could is enough to provide him with comfort, along with the ethnic flute he plays in hostel room. Most of the running time however is devoted to Amin, who simply drifts through his own story like a zombie, focussed on keeping his head down and putting away cash for an uncertain future. Perhaps this is the point of Faucon's film, to highlight the dull grind of the lives of men like Amin, but it doesn't make for a particularly involving viewing experience.